While the serieshas been hosted by Pukekohe Park Raceway eight times in its history, a whopping15 of 27 drivers have never raced a Supercar at the circuit, including three ofthe four Kiwi drivers. Since the series was last at Pukekohe there havebeen modifications to the circuit – $6.6 million has been injected to upgrade to thefacility ahead of this weekend’s ITM 400 Auckland event, with a new chicane on the backstraight no driver in the field has raced on. 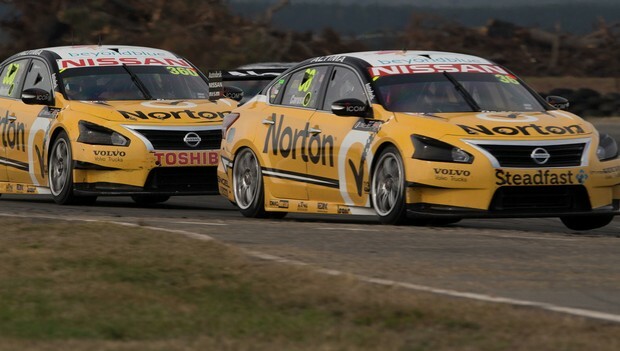 Competingin a V8 Supercar at the circuit is a challenge both Norton 360 Nissan Altimadrivers James Moffat and Michael Caruso are looking forward to. Whileboth have enjoyed success in New Zealand in the past, both debut at Pukekohe Park Raceway this weekend. Carusoclaimed a podium finish at Hamilton in 2010, and a year later at the streettrack; Moffat picked up his maiden top 10 race finish. Whilehe has raced at Pukekohe before in other categories, Caruso said the weekendwould be a totally new experience. 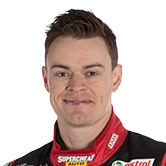 "SinceSymmons Plains, I've been having a look at Pukekohe, and obviously they'vechanged the layout, so there'll be a bit for everyone to learn,” Caruso said. "I'm looking forward to going over there. I enjoygoing to New Zealand and I've had some good results at Hamilton. It will begood to see how many Nissan fans we have and I'm sure they'll be excited to seeand hear our cars. Hopefully we can get to the pointy end of the field." Moffatagreed racing on the circuit would be interesting for himself and his teammate. "Fromwhat we've heard and seen, there's been a lot of money spent on the facilitywith an extension to the track, so that will be good for us in that there'ssomething new for everyone,” Moffat said. "It'sgreat for our sport to go to New Zealand. I've obviously raced over there atHamilton a couple of times and I had my first top 10 finish in 2011. “Weall love going to New Zealand, and it's another chance to get the Altima onto adifferent style of circuit. "We'lljust have to wait and see how the track suits our car." 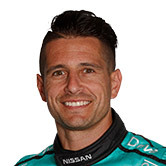 Nissan Motorsport stablemate Rick Kelly won the last race at Pukekohe in 2007. TheITM 400 Auckland kicks off on Friday with V8 Supercars out on track from10.10am for the first practice session. Tickets for the event can be purchased through www.ticketek.com.au, from as little as NZ$30, with three-daygeneral admission for NZ$110 and three-day grandstands from NZ$145. Kids 12years and under are free for general admission with a ticket bearing adult.